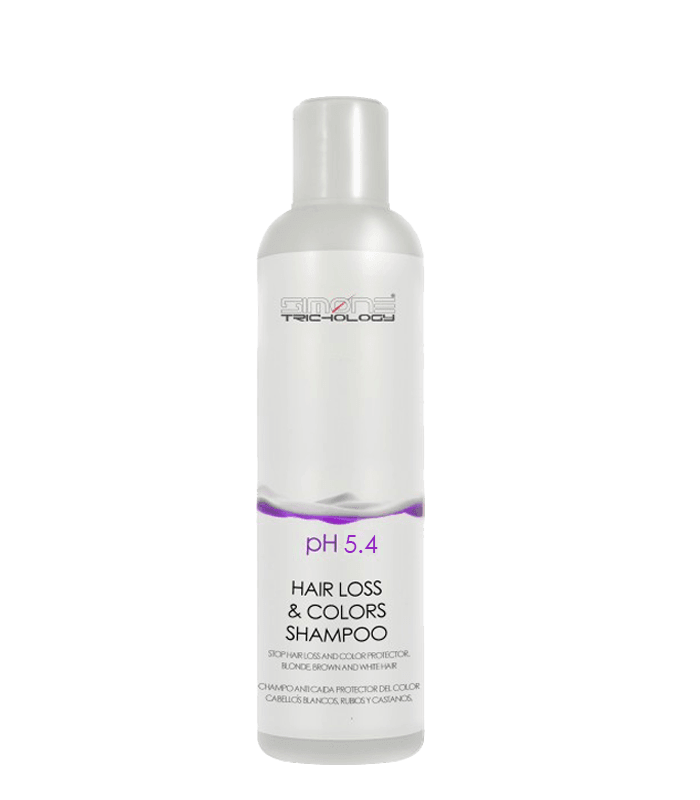 HAIR LOSS & COLORS SHAMPOO 250ml is a shampoo with wide trichological properties. indicated for weak hairs or hair loss, protects colored hairs and, recovers the molecular cohesion to its origins. SIMONE TRICHOLOGY HAIR LOSS & COLORS SHAMPOO 250ml is a shampoo with wide trichological properties. indicated for weak hairs or hair loss, protects colored hairs and, recovers the molecular cohesion to its origins. contains B vitamins, cegaba, proteins and amino acids. SIMONE TRICHOLOGY HAIR LOSS & COLORS SHAMPOO 250ml is also available in professional format.